Two years ago this week (September 8), I began my service here in Philadelphia as archbishop. Two years from now, this same week, we’ll be in the final stages of preparing for the eighth World Meeting of Families (September 22-27). It’s a good moment to pause and reflect. The future is always shaped in part by the past, because we become what we do. Our choices and decisions, our mistakes, virtues, sins and achievements – all these things become the record of “character encountering circumstance” that we call history. All of us are influenced by events in the past. None of us is determined by them. The future depends on our willingness to learn the right lessons from our history and apply them honestly to the new realities we face, here and now. So it is with individuals. And so it is with the Church. Philadelphia Catholics have lived through a decade of tough news: the suffering of abuse victims and their families; two grand jury reports; priests removed from ministry; parish mergers; school closings; declining Mass attendance; well-intentioned but poor financial management; outright embezzlement – all of it compounded by complacency, inertia and too little transparency and accountability at almost every level of Church life. I’ve said these things before, many times. They’re painful to say and difficult to hear. But they’re worth remembering this September because we’re on a different course now, a better one; and we’ve come a long way in a short time. I get plenty of angry emails and letters every week – it goes with the job – but I’ve also been deeply moved by the number of people, both clergy and lay, from Pennsylvania and all over the country, who’ve offered extraordinary words of encouragement and support. I think I know why. Philadelphia is not just another diocese. The Church here has roots that go to the heart of the American Catholic experience and to the core of our nation’s best ideals. And if God can use poor instruments like you and me to rekindle the fire of the Gospel in the churches of Philadelphia, then he can work that miracle anywhere. I want my life as a Christian to be part of that story; and again and again over the past two years, I’ve met good people in parishes across the archdiocese who want exactly the same. The history that shapes Philadelphia Catholics is more than just the wounds of the last 10 or 20 years, as serious as they are. It’s a history built from 205 years of growing and extending the faith; two centuries of serving the sick and the poor, educating young people, welcoming the stranger, and humanizing the wider Pennsylvania community with a witness of Christian love and justice. We need to keep these truths about our Church vividly in our memory. They belong to us as our inheritance. Generations of Philadelphia Catholics proved their faith by their suffering, generosity and hard work. We need to recover that same kind of vigorous faith in our own lives – a zeal to renew the Church in the present, and to shape the future with the message of Jesus Christ. A lot remains to be done. As our financial reports made clear earlier this summer, the material needs of the Church are real and severe. Ministry is the work of the Gospel. That’s always our priority. It always will remain so. Ministry, however, runs on resources. When the Church in Philadelphia pursues the sale of properties, or the leasing of our cemeteries, or the marketing of a vitally important ministry like our health care system, we do it reluctantly. We also remain keenly aware of the obligations we have to our employees, to the wider Catholic and non-Catholic community, and especially to the people we serve. But we can’t renew the life of our local Church with good intentions and plans ungrounded in fact. We need prudence and clear thinking. The future depends on what we do right now, and right now we need to be willing to continue the hard work of personal conversion and institutional reform that we’ve already begun. There’s no other path to a vigorous and fruitful Catholic presence in Philadelphia in the decades ahead. The past two years have seen difficult times. More challenges will surely come. But the people of this extraordinary Church – priests, deacons, religious and lay persons across the Archdiocese of Philadelphia – have been, and are, and will always be, the greatest gift from God in my life as a pastor. Please pray for me, as I pray every day for you. Keep going Archbishop. You are on the right track. Don’t be discouraged. Power up. With you in charge and an inspiration to all of us, The Holy Spirit is most definitely in charge in your diocese. If God is with you, who can be against you? Avery Cardinal Dulles praised the Catechism of the Catholic Church in numerous articles and essays before his death. Having read much of its content, I believe it belongs beside the Scriptures in every Catholic home. Our faith has a long and vibrant history. It is not an easy faith and provokes well-intentioned questions among its members and those outside of the Church. I would like to see ongoing presentations and study of the Catechism within the churches making up a pastoral cluster. Without a new indoctrination effort among catholics young and old, I don’t know how the New Evangelization can succeed. I am so pleased with the great work you are doing in Philadelphia,where I once served as pastor of St John’s downtown. As a fellow Capuchin friar, I am very proud of you and remember you daily in my prayers. May the Holy Spirit continue to guide your words and deeds! Fr Francis X Russo, OFM Cap. Dear Archbishop – thank you for these words and for all your words that have strengthened and inspired us over your two years here. I am also a regular listener to your podcast, which give me food for the journey. I see how blessed the church in Philadelphia is under your leadership, and I hope you will continue to influence the Church nationally because you are a great thinker and a gentle pastor – and one who is willing to tell the truth that ALL need to hear, but that not all are disposed to be open to. Many many more come to open themselves to the gentle wisdom of our great leaders like you. I want also to share with you that I was so fortified by your “Render Unto Caesar” that I bought 4 additional copies, one to each of the Saint Paul’s Outreach houses at Ohio State University where my son in a resident – essential reading, I believe, for all serious young catholics. And older ones like me! May God bless you richly in your ministry and your personal life. I posted a comment earlier today asking you to pray fully. consider the sale of the nursing homes. The church in Philadelphia was built on those residents. They were truly faithful. I know many things need to be done to set your house in order tough decisions need to be made, however I feel we could build on these homes and the faithful in them so we could continue the mission represented in these homes. They are far more valuable to you as a way to reach their families for the church. Praying! I understand what you need to do to get your house back in order. I just ask that you pray fully consider not doing it on the backs of those elderly who helped make the church. My prayer is that you will reconsider the sale of the nursing homes and will find that they are more valuable to you and the mission of the church if they remain. They are a valuable connection to many Catholic’s in Philly a way to build the church not tear it down a way to be on mission within the city and the nursing homes. Many families feel if you do this to their parents its a last straw for them as Catholic’s. Will be praying for Gods leadership and right decisions to be made. I would have to say that two years is a long time. The Archdiocese has been bleeding for these two years and the major parish closures are yet to be announced. If spreading out the pain is the plan then I would call your attention to the fact that Mass attendance continues to drop and priestly ordinations have been almost non-existent. By the time significant changes take place in the Archdiocese, the Archdiocese may not be viable. Thank you Archbishop Chaput. I read your books and your material on the internet regularly. Although I live in Australia, I consider you a leader for all Cathoics. 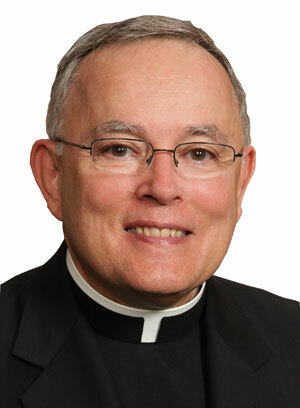 Archbishop Chaput, you are the walking embodiment of Christ. My hope, as a former resident of Bucks and Montgomery Counties is that many more people, young and old, Catholic and other faiths, all over this country and the world hear your message and heed it. May the blessings of the Lord continue to surround you. As I have told my children many times, doing a job the right way is often the hardest thing we will ever do. Peace and love. Wonderful, compassionate vision of faith, hope, and love. I dare suggest that if and when you and our chief pastors decide to renew the other sacrament (vocation) in service to communion, you and God will renew the local church. We have spoken and written eloquently over the last 40 years about marriage & family. Published a couple of strategies. From my fallible perspective, our families are being effectively “evangelized” by Hollywood, Madison avenue, and the secular media. We wring our hands about annulments and a dearth of celibate vocations. In the spirit of Familiaris consortio nos. 65-71, may the gathering of families lead your storied archdiocese to pioneer a substantial, structural, developmental, and permanent evangelization and renewal of the domestic church. For church and society depend on it. This is fundamentally not doctrinal catechesis but requires a method that taps into the hungers of the human heart, which is starved on the diet ofv the culture of self-importance and self-indulgence. Bless your efforts. I continue to pray for you daily. Thank you, Archbishop, for your wisdom, your leadership, your discernment, your courage, and above all, your charity! May God continue to bless you with an abundance of these, as well as good health, as you continue to shepherd the Church of Philadelphia and God love you!